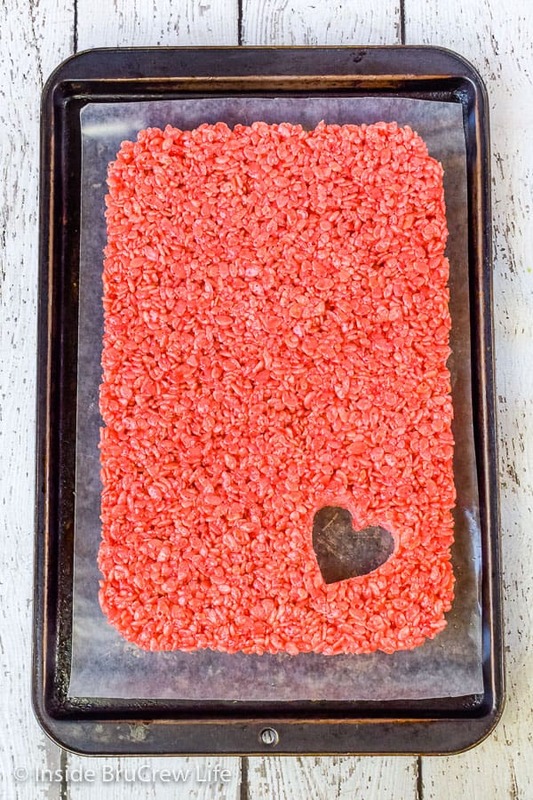 A batch of these Strawberry Rice Krispie Treat Hearts will bring a smile to everyone’s face. Chocolate and strawberry adds a fun twist to a classic marshmallow treat. Perfect for Valentine’s Day parties or just because you want to say “I love you” to your family. One of my all time favorite treats are Rice Krispies treats. Something magical happens when you combine marshmallows, butter, and crisp rice cereal in a pan. I’m all for a decadent dessert like these Cherry Cheesecake Brownies or this Strawberry Mousse Brownie Cake most of the time. But those simple chewy treats call my name more often. They don’t stand a chance in our house. Everyone here is just as crazy about these easy treats as I am. 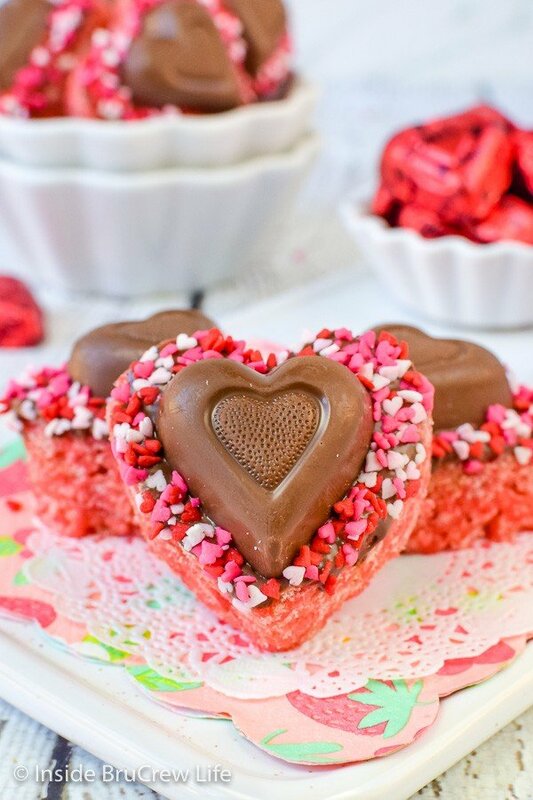 A few years ago I made these White Chocolate Reese’s Krispie Hearts as a fun Valentine’s treat for our kiddos. Who am I kidding? I ate my fair share of them too. The other day I was wandering the aisles of Target and I found a bag of chocolate hearts filled with strawberry creme. I love chocolate covered strawberries, so I was intrigued by the flavor of these candy bars. Then in the very next aisle I found strawberry marshmallows and I decided that I needed to make more heart shaped Rice Krispies treats right away. 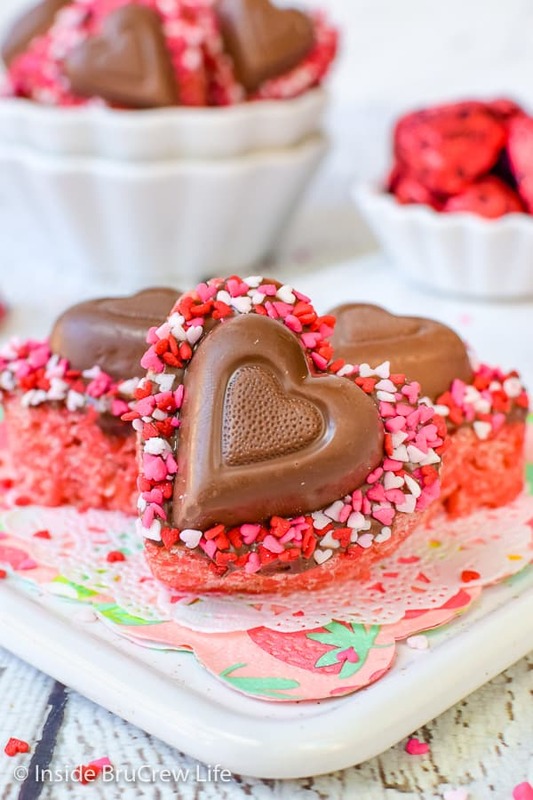 These cute little heart treats would be perfect for Valentine’s Day parties or just because you want a fun and easy after school snack for your kiddos this week. Spray a 9×13 pan with a nonstick baking spray. I like to use Baker’s Joy. Place your butter and marshmallows in a pan over low to medium heat and stir until melted and creamy. Low and slow is the key here. Add a box of strawberry Jello powder to the melted mixture and stir until dissolved. This is going to give these Krispie treats a great strawberry flavor. I used a full box, but feel free to only use half of it if you want the flavor to be toned down. Remove the pan from the stove and stir in the cereal until everything is coated. Pour the cereal mixture into the prepared pan. Spray your hands with the nonstick spray and carefully press everything down evenly and firmly. Now normally for soft chewy treats, you do not want to press them too firm because that makes them hard. But we are cutting them into shapes, so you do need to press a little bit harder than normal. Let the pan of treats cool completely cool before flipping the treats out onto a tray or cutting board. Spray your cookie cutter with nonstick spray and cut out as many hearts as you can get. Do you know what the best part of making Rice Krispie shapes is? Eating all the leftover scraps, of course! It’s a tough job, but someone has to do it. Wink, wink. Why are my Rice Krispie Treats so hard? Make sure you are melting the butter and marshmallows over a lower heat. Do not over stir the mixture. Be sure to use fresh marshmallows. Old, stale marshmallows will result in tough, hard treats. Can I freeze Rice Krispie Treats? Place your cooled treats in layers separated by wax or parchment paper in a freezer safe bag. They will keep in the freezer for about 6 weeks. Thaw at room temperature for at least 15 minutes before serving. 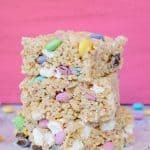 How do you keep Rice Krispie Treats from sticking to the pan? Make sure you butter the bottom of the pan before you pour the cereal mixture into it. Nonstick baking spray is another great thing to use instead of butter. You can also line your pan with parchment paper, so you lift the treat right out. How do you cut Rice Krispie Treats neatly? Make sure the pan of treats is completely cooled. Flip the treats out onto a large pan or cutting board. Use a large knife or cookie cutter that has been sprayed with nonstick baking spray. 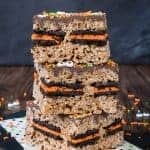 A layer of hidden candy bars make these Peanut Butter Cup Rice Krispie Treats the best treat you will ever have. Thousands of rave reviews can’t be wrong! Perfect for any picnic or party. Melted chocolate and mint chips make these Brownie Mint Rice Krispie Treats a decadent no bake dessert. 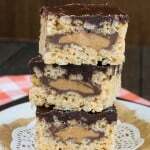 These 100 Grand Rice Krispie Treats are chewy and delicious just like the candy bars. Oreo cookies and sprinkles will have everyone reaching for the last of these Oreo Stuffed Rice Krispie Treats. 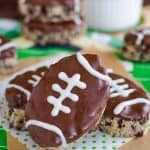 Make a batch of these Football Rice Krispie Treats for game day parties or for sports themed baby showers or birthday parties. 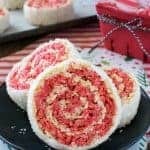 Add a fun flair to holiday parties with these easy Peppermint Rice Krispies Pinwheels. The red and white spirals are so pretty and taste so good. 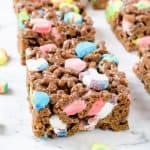 Enjoy the fun rainbow colors in these chewy Nerds Rice Krispie Treats. 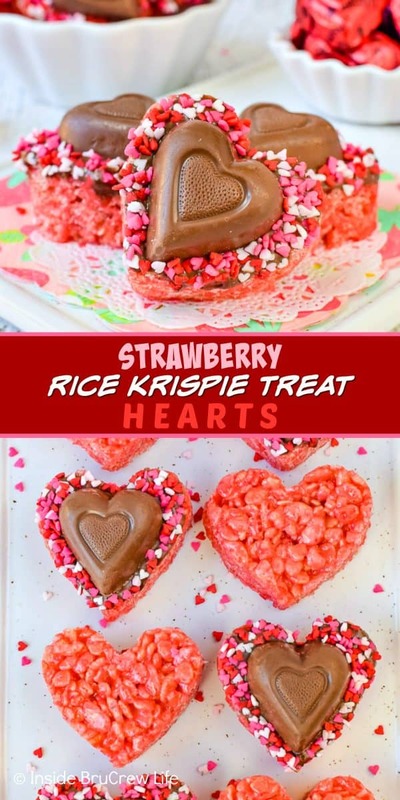 A batch of these Strawberry Rice Krispie Treat Hearts are sure to bring a smile to everyone's face. Chocolate and strawberries add a fun twist to the classic marshmallow treat. Perfect for Valentine's Day parties or just because you want to say "I love you" to your family. Spray a 9x13 pan with nonstick baking spray. Melt the butter and marshmallows in a pan over low to medium heat. Stir until melted and creamy. Pour in the Jello powder and stir until dissolved. Add the cereal and stir until everything is coated. Spoon the mixture into the prepared pan. Spray your hands with nonstick spray and press the mixture down evenly and firmly. Let the pan cool completely. Flip the treats out onto a tray or cutting board. Spray your cookie cutter with nonstick baking spray and cut out 24 hearts. Melt the chocolate according to the package directions. 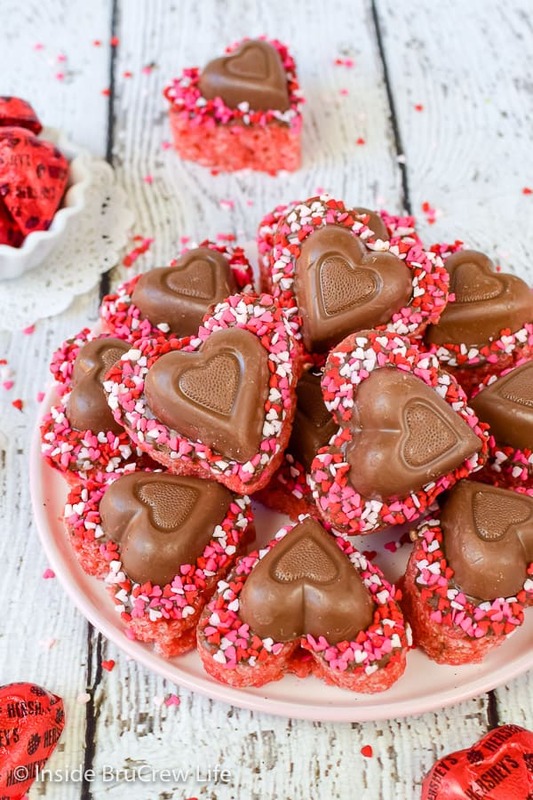 Dip the tops of the hearts in the chocolate. You may need to spread it out with the back of a spoon or with a flat spatula. Press an unwrapped heart on the top and add sprinkle around the edges. Let set before storing in a tightly sealed container. These are so cute! 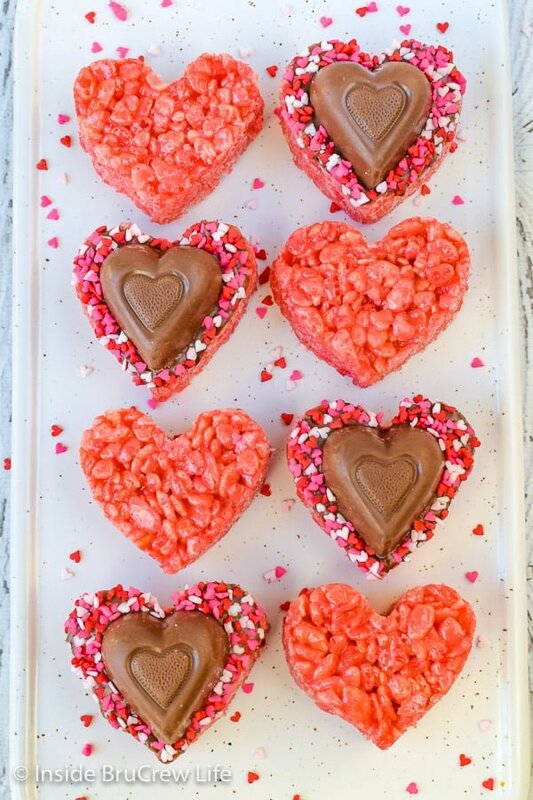 Perfect Valentine’s Day treats! What a fun version of a classic treat! These are adorable! I’m going to surprise my kids with these when they come home from school on Valentine’s Day. 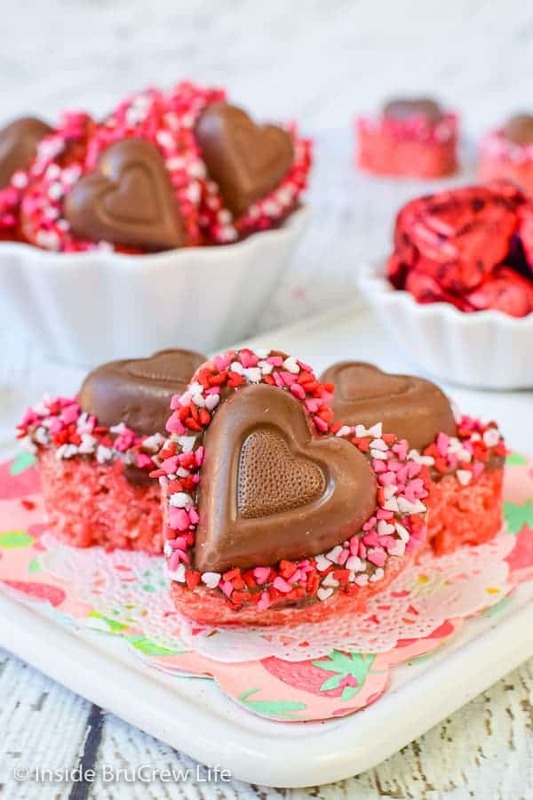 These are adorable for Valentine’s Day! My roommates can’t get enough! These are so cute! My girls will love them.